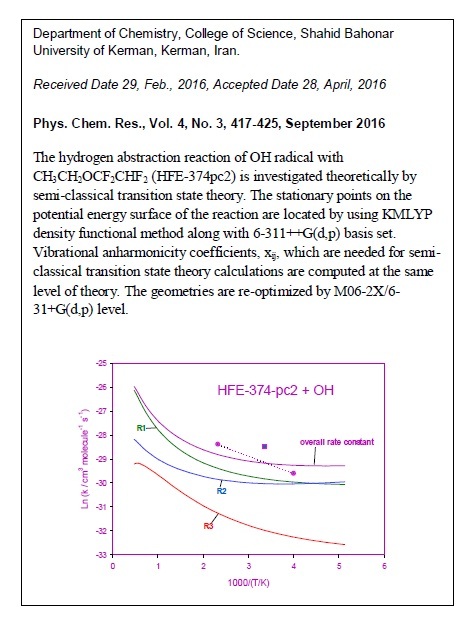 The hydrogen abstraction reaction of OH radical with CH3CH2OCF2CHF2 (HFE-374pc2) is investigated theoretically by semi-classical transition state theory. The stationary points on the potential energy surface of the reaction are located by using KMLYP density functional method along with 6-311++G(d,p) basis set. Vibrational anharmonicity coefficients, xij, required for semi-classical transition state theory calculations, are computed at the same level of theory. The geometries are re-optimized by M06-2X/6-31+G(d,p) level. 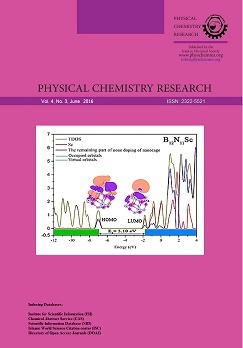 Single-point energy calculations are carried out by the CBS-Q combination method. Thermal rate coefficients are computed over the temperature range 200-2000 K and they are shown to be in accordance with the available experimental data. On the basis of the computed rate coefficients, the atmospheric lifetime of HFE-374pc2 is estimated to be about 2 months.